Our biggest and most anticipated event of the year is approaching! 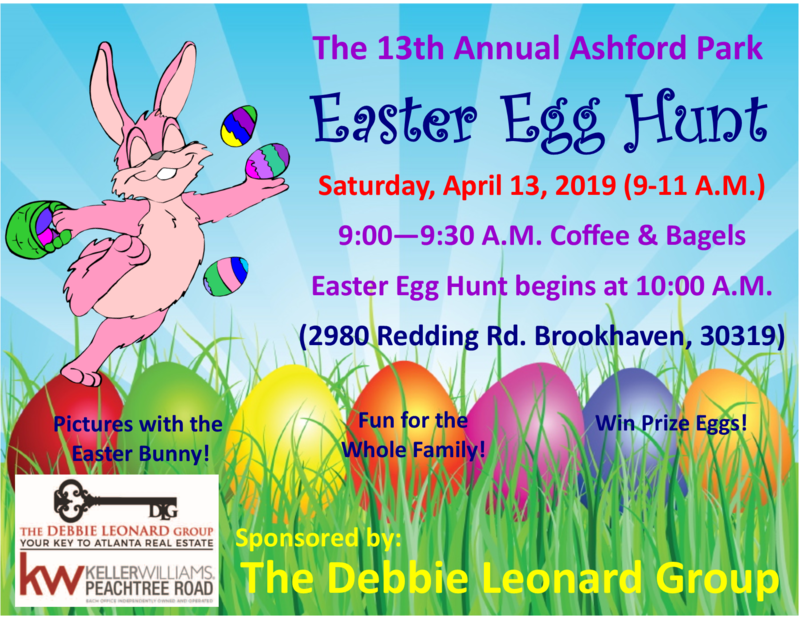 The Debbie Leonard Group invites you to join us in celebrating our 13th Annual Ashford Park Easter Egg Hunt this year at Ashford Park! Games, Music,Prizes and an extreme Easter Egg Hunt beginning at 10 a.m. There will be special guests and activities galore! Come out and join us for a day of Easter fun, Happy Hunting! The mission of Atlanta Ronald McDonald House Charities is to nurture the health and well-being of children and families. The Debbie Leonard Group is an Adopt-A-Room Sponsor which serves families of ill or injured children by providing temporary housing and support services regardless of their financial capabilities. Our biggest and most anticipated event of the year is here! The Debbie Leonard Group invites you to join us in celebrating our 12th Annual Ashford Park Easter Egg Hunt this year at Ashford Park! Games, Music,Prizes and an extreme Easter Egg Hunt beginning at 10 a.m. There will be special guests and activities galore! Come out and join us for a day of Easter fun, Happy Hunting! As an Adopt-A-room sponsor, the Annual Fall Fundraiser supports the Atlanta Ronald McDonald House Charities. Each year a raffle is held auctioning off a BMW 5 Series, each ticket sold counts as a donation to the organization. 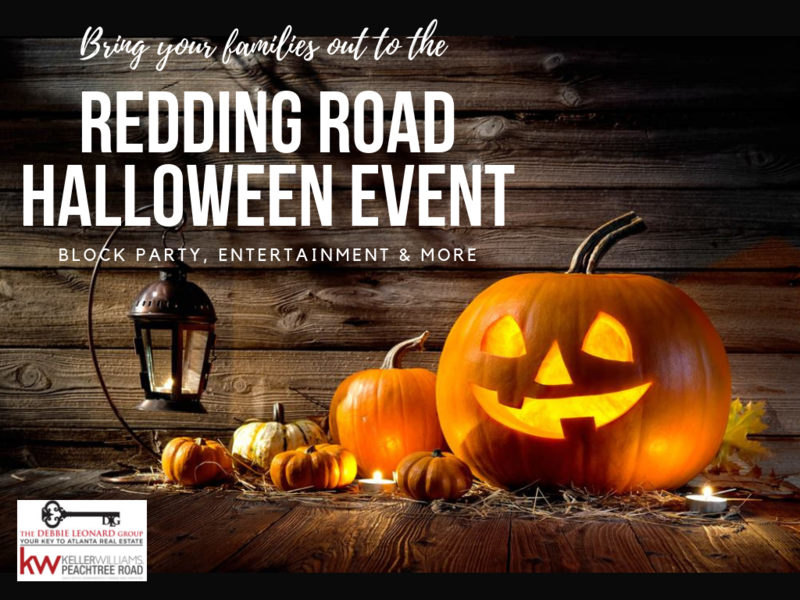 The Redding Road Halloween event invites all residents of Redding Road to a neighborhood block party on Halloween night. The event includes music, snacks & entertainment. A fun way to bring the community together! Debbie and Ronnie Mayer participate in open houses at Fire Station#2 for children to explore heavy rescue fire trucks and participate in quick response activities. 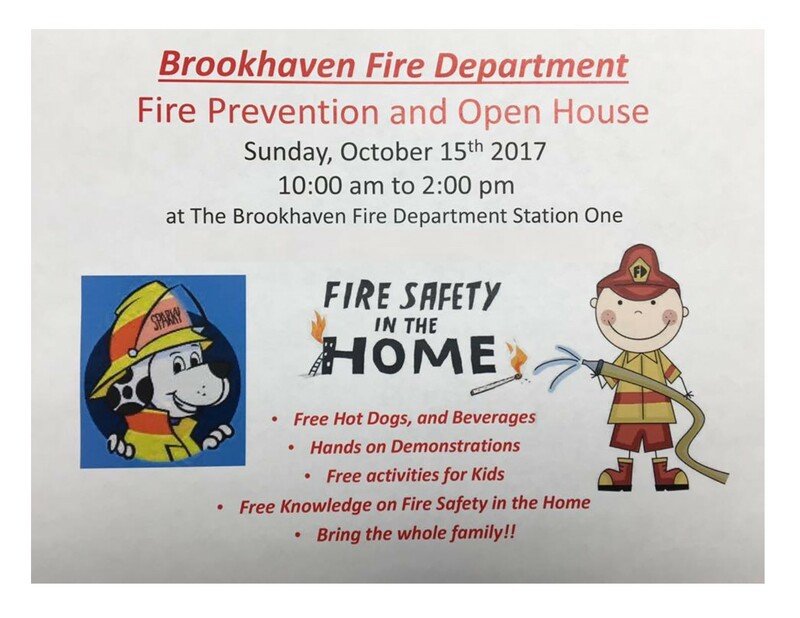 The event offers a smoke diving demonstration along with a smoke detector and car seat giveaway. The whole family actively learns about fire safety from our neighborhood Fire Department! 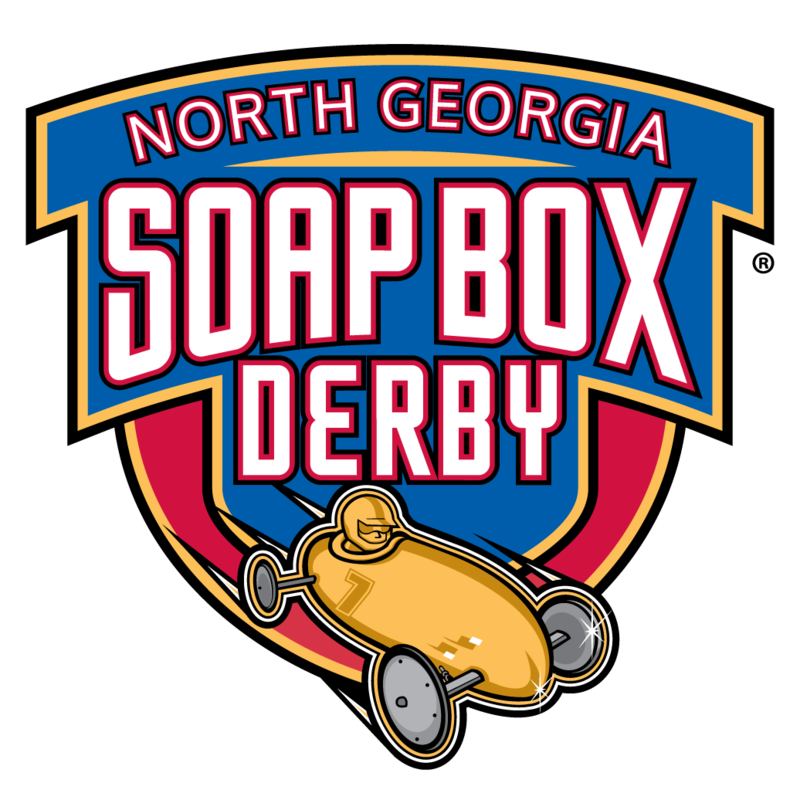 The Debbie Leonard Group is a proud sponsor of the North Georgia Soap Box Derby (Formally named the Dunwoody-NE Georgia Soap Box Derby). Children of all ages are provided with materials to build their own soap box derby stock car and then compete in the annual race. Winners in each category go on to race in the All-American Soap Box Derby World Championship held in Akron, Ohio. The Derby is the official sanctioning body of Soap Box Derby racing and has exclusive licensing partnerships with more than 100 districts. All proceeds support the STEM Education program. The Debbie Leonard Group has been a sponsor of this event for all 10 years! 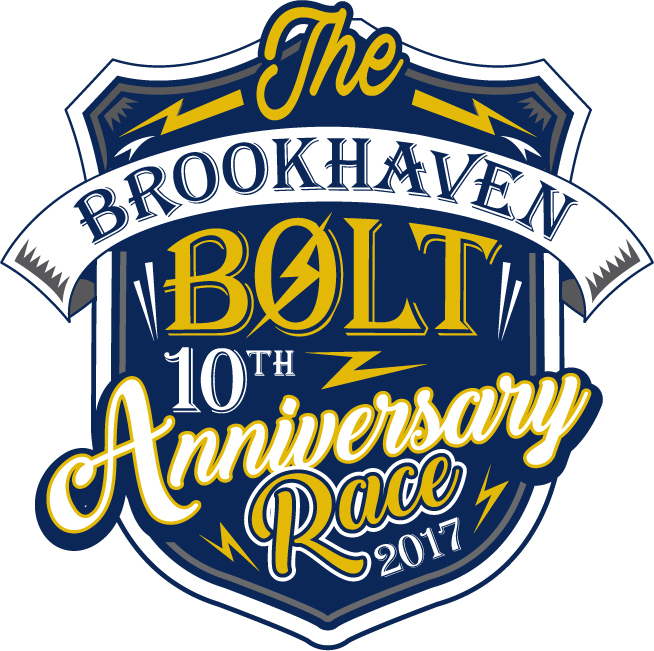 The Brookhaven Bolt is a fantastic event for family fun. It is an annual USATF certified 5K race which runs through the Ashford Park neighborhood. It is presented by the Jim Ellis Automotive Group and funds the Ashford Park Elementary School. Spectators and runners will surely enjoy the community involvement and great energy. Prizes and medals are rewarded to age group and overall winners during the post-race festivities. 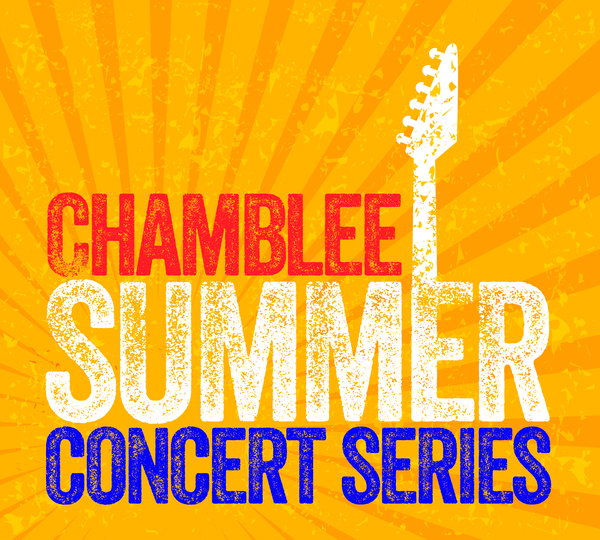 The Debbie Leonard Group is a proud sponsor of The Chamblee Summer Concert Series. Each year we look forward to the sequence of live music featuring some of the most top rated bands in the industry. The series is made up of four shows in Downtown Chamblee and one during the July 4th Celebration at Keswick Park.